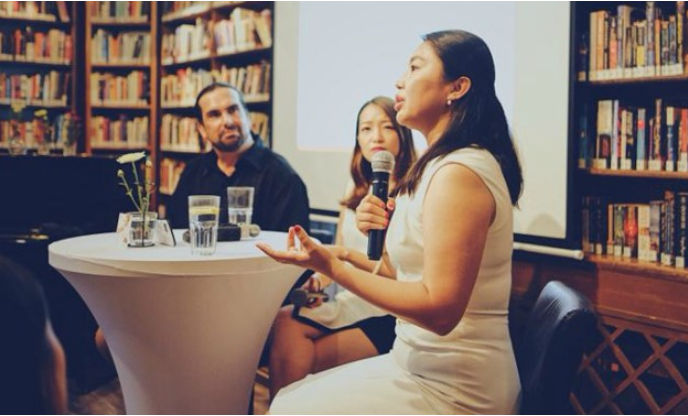 Be it the recent rise of the #MeToo movement in China, or one woman’s discovery of feminism during a lifetime of military service, Beijing-based co-hosts Jingjing Zhang and Yajun Zhang (pictured left to right above) have explored plenty of unique and inspiring topics on their Wǒ Men Podcast. The bi-monthly audio show, which is made as part of the Radii China media outlet, has delved into a myriad of issues that are too often marginalized in mainstream media. However, as Yajun Zhang tells the Beijinger during a recent interview, she and her co-host are by no means interested in making an overly weighty show with capital “M” messaging. Instead, they draw on the popular NPR program This American Life to unveil nuances in an immersive, engaging, and often fun, fashion. 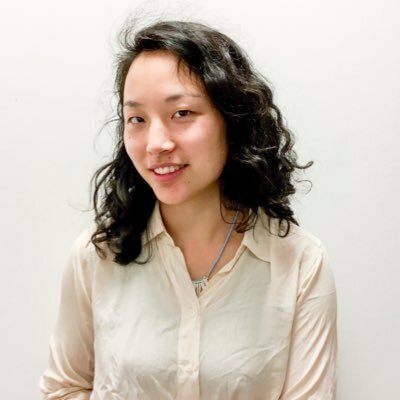 Below, Yajun Zhang tells us more about the podcast guests who have fascinated her, touched her heart, and opened her mind. Tell us about how this podcast got started. I have been thinking about doing a podcast about China for a while. I’m a big fan of This American Life. It helped me realize that, in order to see the beauty of a country, you have to focus on daily life. Human rights, trade wars, and other big headline issues are of course important, but the nuances of daily life can give people a deep impression. Over the years I tried to find someone to work with me on a project like this. Jingjing and I were colleagues and have long been best friends, and we both have backgrounds in journalism. One day we were talking and realized we were both passionate about podcasts and had some interesting story angles in mind. The idea of launching the first podcast in English produced and hosted by two Chinese women, at least as far as I know, was also very exciting. What are your goals for this podcast? We just want to give a very authentic female Chinese perspective. We want to offer a unique voice. There is a lot of great coverage and reporting about China from journalists, particularly white male reporters, bloggers, and KOLs [key opinion leaders]. But you don’t hear a lot from Chinese women, particularly in the format of a podcast, so that’s why we want to do this. Jingjing and I both grew up in China and have an interesting understanding about issues that maybe an outsider might not understand, or that maybe even a Chinese man might not understand. So we hope this podcast can help share this unique voice and add color to people’s understanding of China. What have you enjoyed most about co-hosting the podcast so far? It has been an amazing experience, to be honest. I worked as a reporter for a long time and talked to many people who come from different social statuses, from humble laborers to high-level officials. Then I moved into PR, and I found that special connection with society was soon missing in my life. But when Jingjing and I began doing the podcast, we were surprised by how quickly that connection came back. We have really in-depth chats with our guests, and to hear a fresh perspective or see another side of someone we may have already known during the course of the interview is really amazing. Which guests have left the biggest impression on you so far? One friend that I invited on talked about her dating experience, what kind of thinking she has been through, and asking herself “Should I give this guy a chance or not?” She analyzed herself, her concerns, and insecurities during our interview, and as she relayed her stories she even cried in our studio. Both Jingjing and I were really touched. We really appreciate when our guests can open up and really share with us. On another episode, we talked about women’s rights and #MeToo. 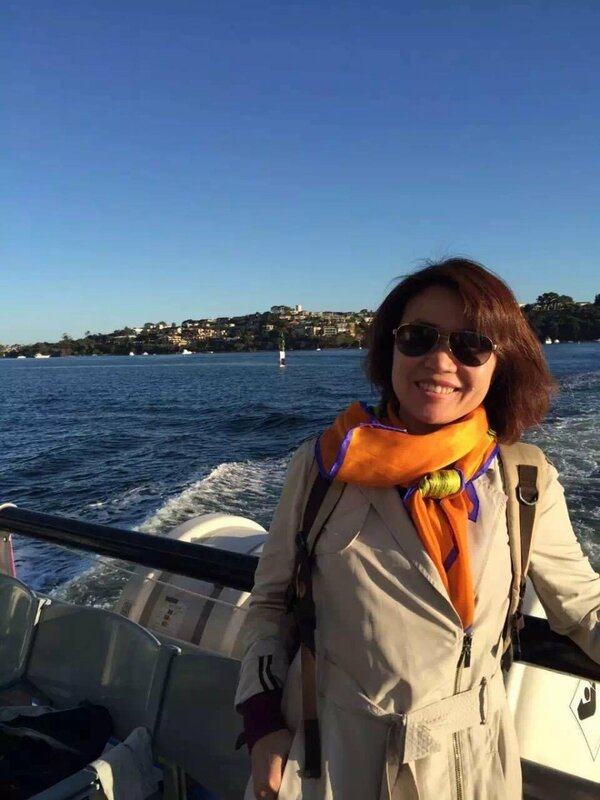 One of our guests was Shi Xiaoqin, an amazing lady who was a military officer for much of her life. She spoke about being an officer and also about identifying as a feminist. She also had a very interesting perspective about rural life in China, because she grew up in a small village, which Jingjing and I were fascinated by because we both grew up in the city. I learned so much from her, and she helped me understand that China is so big, there are so many different perspectives here and so many layers to what women see in China. I was also hugely affected by another episode about sexual consent. Our guest, Yuan Yang, Beijing correspondent for the Financial Times, discussed what consent means under different circumstances, which was especially poignant in light of two alleged sexual assault cases against Jonathan Kaiman [the former President of the Foreign Correspondents’ Club of China and Beijing Bureau Chief of Los Angeles Times]. Yuan Yang tried to be as objective as possible during the conversation, which is difficult because it is such a controversial topic, and thankfully we got very good feedback, not only from female listeners but also from male reporters. That was great to hear because we were concerned about how people would react but it turned out that the feedback was really good and we were able to constructively add to this dialogue. When you were growing up in China it surely would have been beneficial to hear a podcast like Wǒ Men. How does it feel to be breaking that ground and inspiring young listeners now? Do you feel like a role model in a way? Well, terms like “role model” are quite strong, but we hope we can help people who want to put their voices out there but have never found a platform to do so. We keep telling “If you want to speak out and share your opinion, this is the golden age to do so!” For us, for instance, it took a short while to start this podcast because we didn’t have a perfect title yet, and didn’t know what guests to invite or themes to explore. But after a few months setting up, we were ready and doing it. Ten years ago there may have been no platforms, but now you can easily blog, make podcasts, or create whatever content you want and upload it. We met a lot of amazing people and that came on our show and contributed ideas. So hopefully we can encourage a lot of young people to see it’s not that difficult, and the world actually values such authentic voices. You can listen to episodes of the Wǒ Men Podcast here.